A photocopier is one of many tools used by millions of people every day without any thought as to how it does what it does. But in fact the process is quite interesting. A photocopier transfers the contents of a document onto a second sheet of paper through the use of static electricity. The original document is laid face down on the copying plate. An image of the document is projected onto the plate, which is positively charged. The photocopier runs a light over the document from above, and wherever the light falls onto the plate, the electrical charge leaks away, leaving only the outline of the image. 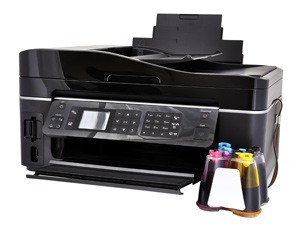 At the same time the photocopier’s black toner particles, which are negatively charged, are attracted to the remaining positive areas remaining on the plate. Paper is then brought over the copying plate and the toner ink is transferred to the paper and briefly heated to make it stick. The machine then extrudes the photocopy of the original document.